The former head of MI6 has admitted there is ‘significant regret’ over MI6 allowing Tony Blair to attend the opera with Vladimir Putin during his rise to power. 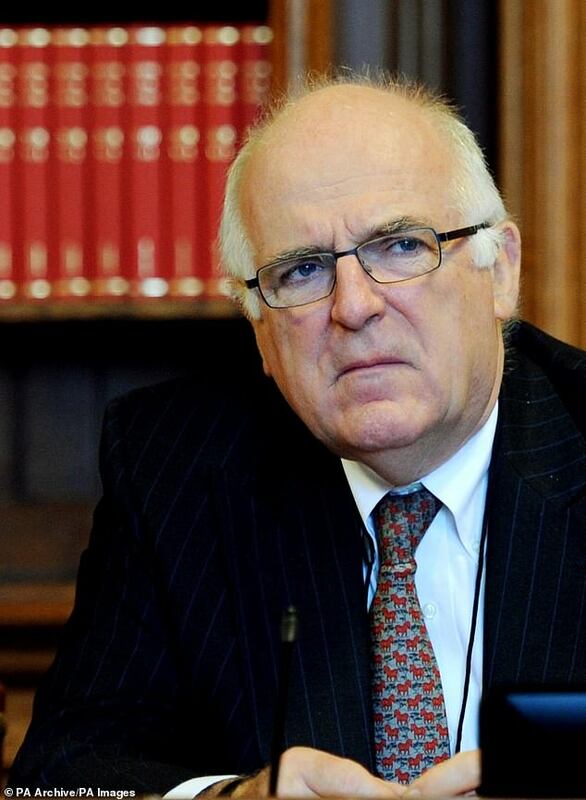 Sir Richard Dearlove, who was head of the Secret Intelligence Service between 1999 and 2004, made the revelations at the Cliveden Literary Festival in Berkshire at the weekend, where he featured as a guest speaker. Sir Richard told the audience that ahead of the Russian presidential election in 2000, he was approached by the KGB asking for MI6 to help Putin, and agreed for the pair to meet in St Petersburg. At the time of the controversial visit, Downing Street had stressed it ‘was too good an opportunity to miss’ despite uproar from human rights activists and Amnesty International. 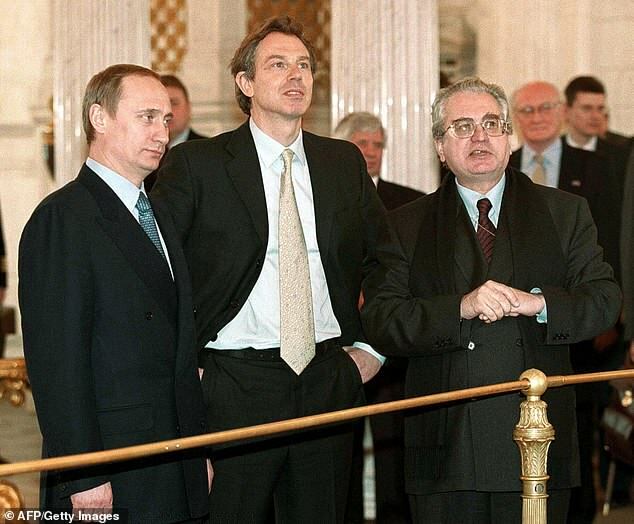 Mr Blair became the first western leader to meet with the incoming Russian president. He and his wife Cherie had spent the day in St Petersburg as guests of Putin, before rounding off their visit viewing a production of Sergei Prokofiev’s War and Peace at the Mariinsky theatre. Speaking at the time, Mr Blair had said one of the aims on the visit was to ‘renew and strengthen’ Britain’s ties with Russia. But Sir Richard said he was ‘sure now there is significant regret’ within the MI6, The Times reports. Sir Richard was in charge of MI6, Britain’s spy agency, when the 2002 ‘dodgy dossier’ was published. In the dossier, the government set out its case on Saddam Hussein’s supposed weapons of mass destruction capabilities. Sir Richard ensured the material was shown directly to Prime Minister Tony Blair – who subsequently wrote a foreword to the so-called ‘dodgy dossier’ saying that Hussein’s threat was beyond doubt. Together with the earlier September Dossier, the government justified its involvement in the 2003 invasion of Iraq.